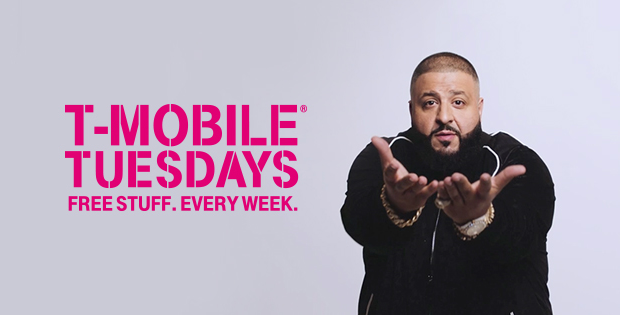 T-Mobile has revealed what it’s got in store for the January 31 edition of T-Mobile Tuesdays. Next week, T-Mobile customers will receive a $20 discount at Fanatics, online retailer of sports gear for the NFL, MLB, NBA, NHL, NASCAR, and more. T-Mo customers will also receive a free order of Firecracker Chicken at Panda Express (at participating locations while supplies last) and a free movie rental at FandangoNOW (up to $5). As with last week, there will be two grand prize winners this coming Tuesday. Each one will receive a $5,000 check for a big screen TV or whatever else they’d like to spend the money on. Also included will be a $2,142 check to cover taxes or other expenses. Fifty first prize winners will each receive a $100 gift code for Fanatics, while 200 second prize winners will each get $50 to spend at Fanatics. tacos aren’t free!!! And if they are becareful. This T-Mobile Tuesday seems to move things back in the right direction. I don’t like sports and Panda Express is gross! Try harder T-Mobile. Then don’t use it! Or better yet switch to AT&T! I hear they give you anything you want, never. Anyone know if you can stack the Fanatics discount code? Yeah It would be nice if there was a Panda express in my area. But there isn’t. So that offer doesn’t apply to me or most people. Free stuff? More like free junk. I like free stuff. But honestly, most of the time these offers are never useful to me. Free Year of Netflix! Now that would be useful! I’m sure everyone can agree. Proofread your post, man. I’m not a grammarnazi but come on. In true T mobile Tuesday fashion, the fanatics code doesn’t work. Unfortunately when I went to pick up my order at 5 they said they were all out of chicken and that I’d have to wait 3 hours for the frozen chicken to thaw! :( I’ll see if i can pick it up tomorrow. These food companies that do TT offers really need to think ahead, knowing there’s always huge demand for the food offers.